Cecil Sharp visited William Bayliss in Buckland on 7 April 1909 when William sang him Floating by the Tide, On Christmas Time, Seventeen come Sunday, Three Butchers, The Unquiet Grave and the Wassail Song. 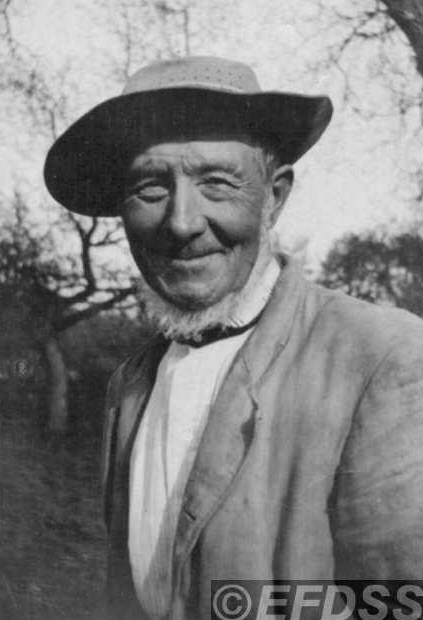 William Bayliss was born in Stanton, Gloucestershire about 1847 and in 1867 probably married Matilda who was born in Ashleworth, Gloucestershire. Their first child, Emma, was born in Stanton circa 1869 but they then moved to Laverton in the parish of Buckland, Gloucestershire where the rest of their children were born .They had eight children, Emma, Jane E. , Mary Ann, Mark W. and Henry/Harry, William, Edith and Samuel, seven of whom, were still living by 1911. William worked as a general and farm labourer.